What did Jane Austen see in Henrietta Street? During Austen’s lifetime, caricatures were widely produced and were displayed in printshop windows in London and the provinces, printed in newspapers, shared in portfolios and used to decorate all manner of accessories. The caricaturists offered biting satire to an eager audience, and they applied their harshest wit to the Royal family. What caricatures would Jane Austen have seen, and how did they influence her writing? 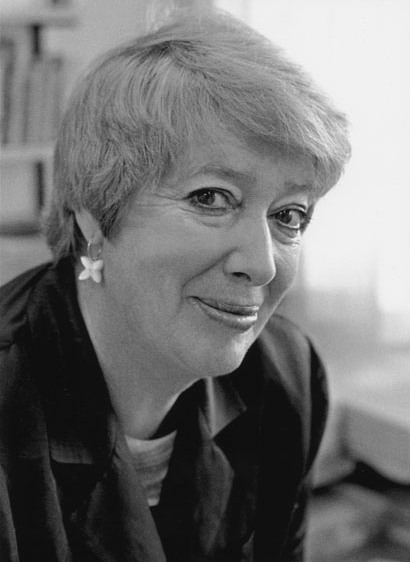 Dr. Harris, professor emerita at the University of Otago, New Zealand, publishes extensively on eighteenth century literature. Her 2007 book, A Revolution Almost Beyond Expression: Jane Austen’s Persuasion, became a “must-read, must-have” addition to the home library of Austen fans and scholars. 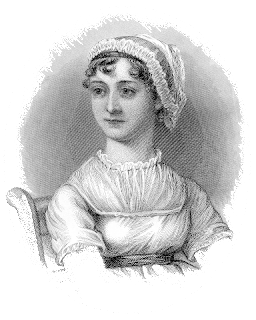 In her latest, Satire, Celebrity, and Politics in Jane Austen (Bucknell University Press, 2017), Dr. Harris provides examples of the resources Austen found in her private life to acquire intimate knowledge of popular and political culture and the behavior (and misbehavior) of celebrities of her time. Harris also shows how Austen’s celebrity-watching and political observation fed into the satire that weaves through her novels. RSVPs welcomed, but not necessary, at jasnaonc@gmail.com. “How quick come the reasons for approving what we like!” Persuasion, Ch. 2. Join us for lunch and a very special day with Jane Austen at our kick-off meeting for the 2018-2019 year. As we continue to celebrate 200 years of Jane Austen’s masterpiece Persuasion, we meet Jane Austen in the midst of her final performance, and hear her reminiscences of a life well-spent. 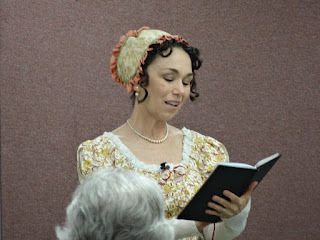 Actor Deb Miller brings historical women to life by combining her delightful performing talents with scrupulous research. Deb brings an intimate understanding of Austen through her own letters and works, combined with meticulous historically accurate costume and mannerisms to this stirring performance. Presentation is followed by a cozy question and answer period. Questions? Email jasnaonc@gmail.com, or contact Jennifer Weinbrecht at 440-667-6067 or JoAnne Podis at 216-401-6053 (please leave a message if we don’t answer). As a special treat at our September meeting, we will have a preview of a Breakout Session from the upcoming 2018 AGM in Kansas City. Our own member Randi Pahlau will be speaking on “The Cobb as Anchor against Eternal Ruin: The Influence of Lyme’s Cobb on the Renewal of Anne and Wentworth’s Love” (Breakout Session B5 in the AGM schedule). Randi is an Assistant Professor of English at Malone University in Canton, Ohio where she teaches and researches British Literature, primarily Shakespeare, Jane Austen, and World Literature. She is also a hard-working volunteer leader of our JASNA ONC Region. Dublin Lawyer – House specialty of lobster meat sauteed in a mild cayenne pepper butter cream sauce with mushrooms, scallions and Irish whiskey. Served with rice pilaf. Louisiana Chicken Salad –Cajun grilled chicken breast served over romaine lettuce tossed with spiced pecans, red onion & blue cheese crumble in a peanut vinaigrette. Chicken Marsala – Sauteed with mushrooms in a Marsala wine sauce. Served with angel hair pasta, green beans and shredded Asiago cheese. Pasta Primavera – Angel hair pasta tossed with zucchini, yellow squash, bell peppers and broccolini. Finished with house Pomodoro and Asiago cheese. Email JASNAONC@gmail.com or call Jennifer at 440-667-6063 with RSVP information.